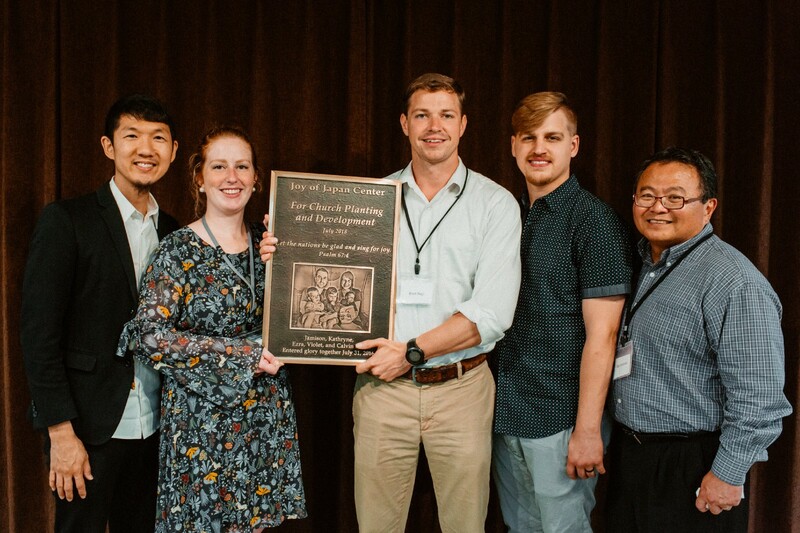 Left to Right: CBI Founder, Michael Oh; Jamison’s Youngest Sister, Andrea Riederer; CBI Director, Brett Rayl; Jamison’s Brother In-law, Brad Riederer; Joy of Japan Center Coordinator, Gary Watanabe. Photos by Amanda Kolstedt. One of the best parts of a “based on a true story” movie is the “where are they now” epilogue. After emotionally investing in the characters of a movie for a couple of hours, it is exciting and intriguing to know what happened next. It allows us to see the future in the present. I think these segments in a movie are so impactful because they allow us to imagine our own futures by seeing the futures of others. They remind us that time passes on and we will not always be as we are now. The question, “Where are they now?” often arises with the death of a family member or friend. This is especially true in the face of a tragic or surprising loss. Knowing “where are they now” assures us not simply of their present, but it also points to our own futures. The Bible does not leave us curiously wondering the present or future of believers who have passed away. When it comes to the saints who have gone before, the Scriptures invite us to consider “Where are they now?” I’ve thought about that question a lot since Jamison, Kathryne, Ezra, Violet, and Calvin Pals passed away two years-ago. Where are they now? Therefore, since we are surrounded by so great a cloud of witnesses, let us also lay aside every weight and sin which clings so closely, and let us run with endurance the race that is set before us, looking to Jesus, the founder and perfecter of our faith, who for the joy set before him endured the cross, despising the shame, and is seated at the right hand of the throne of God. This passage explains that the “cloud of witnesses” described in Hebrews 11 provides inspiration of some sort for those Christians alive today. The Pals family has joined this triumphant cloud of witnesses. And the ongoing witness of Jamison, Kathryne, Ezra, Violet, and Calvin propels us to fulfill the mission Christ has given us to the hardest places and the hardest peoples. In What Sense are they Witnesses? There are at least two ways we could understand the “witnessing” described in Hebrews 12. First there is passive witnessing. This is how people sometimes interpret this passage, and it elicits a certain comic-strip depiction of heaven. In this sense, the witnesses are sitting in the stands watching while the church militant (the church on earth) is at work on the field. The witnesses might cheer for the present church in their work, but their chief work is to passively watch and observe without interference. The second kind of witnessing is an active witnessing. This is like someone who serves as a witness at trial. They share their testimony about something. It the same sense that the apostles are called “eyewitnesses of his majesty.” This language is sometimes used in evangelism; Christians go out “witnessing their faith”. It is an active witnessing that I believe Hebrews 12 has in mind as opposed to the more passive variety. We see this affirmed in Hebrews 11:4 in reference to Abel, “And through his faith, though he died, he still speaks.” These witnesses have passed on to glory. They are absent from this world and dwell with God in paradise. However, through their faith, they speak. Through their faith, they witness to Christians in the world today. Through their faith in Christ, though dead, the Pals witness to us who remain. The saints who die today go on to join the ranks of Abraham, Moses, and David, whose lives are written for our instruction. The author of Hebrews does not put the actions of the saints of Hebrews 11 forward as examples to be closely imitated by us. It is their faith that is instructive. The saints of Hebrews 11 believed in a coming Savior who would save them from their weights and their sin. The Pals join their number. It is exciting to remember that this family who had their hearts set on serving their Savior in missions has joined the ranks of William Carey (father of the modern missions movement), John G. Paton (missionary to the New Hebrides), Hudson Taylor (missionary to China who spearheaded a new approach to missions), and Jim Elliott and the Auca Missionaries (martyrs who inspired a generation of missionaries to lay their lives down for Christ, and whose deaths were instrumental to the salvation of that people). With all these saints who have gone before, the Pals family witnesses to us. Though dead, they speak. What is the Content of their Witnessing? The Pals family and the whole congregation of saints in heaven are actively witnessing to us. So what is the message they proclaim? Through their testimony of faith, this cloud of witnesses proclaim to us the the gospel of the glory of Jesus Christ — the gospel of joy! “Since we are surrounded by so great a cloud of witnesses,” we are beckoned to look “to Jesus, the founder and perfecter of our faith” (Hebrews 12:1-2). Jesus is the founder of our faith. Through his saving work, he establishes a rest we may enter into. Through his Spirit, he calls us to salvation. He gives life to our souls that are dead in sin. Jesus launches the Christian faith and he initiates my personal faith. Jesus is the founder and foundation of all faith. They also profess Jesus as the perfecter of their faith. He makes imperfect faith perfect. The mere presence of the saints in heaven is a clear testimony that salvation is not by our works, but it is only by the grace of Christ through faith. It is not the size of our faith that saves us (Hebrews 11 is filled with doubters). It is not the strength of our faith that saves us (Hebrews 11 is filled with backsliders). It is the Lord of our faith. When our faith is in Jesus as Lord, he perfects our faith. And he perfects us, faithful to bring the work of sanctifying glorification to completion just as he was faithful to begin a good work in us. The Pals family and this cloud of witnesses proclaim Christ as their joy, their hope, and it is with Jesus that they now enjoy uninhibited bliss for eternity. The cloud of witnesses testifies to the humiliation of Christ. He has “endured the cross” for us and for the nations. “While despising the shame,” Jesus remains faithful to his mission (Hebrews 12:2). In so doing he shames shame so that that we may have courage to follow him. The cloud of witnesses testify to the exaltation of Christ. He who has endured the guilt and shame of the cross has overcome death and sin. He is now seated at the right hand of God in glory, and intercedes for us. The Pals Family with all the saints in heaven proclaim Christ as their joy, their hope, and their past, present, and eternal salvation. The great cloud of witnesses testifies to the good news of the gospel, that through faith, anyone can be saved because of our great Savior, Jesus Christ. He is our eternal joy! We have seen how the Pals family serve as witnesses and we have heard the message that they witness. But what does this mean for us who are alive today? The witness of this family with the assembled church triumphant to Jesus Christ and the good news of his gospel propels us forward on mission. They remind us that the work is not yet finished. Christ has deemed that while they enjoy eternal bliss in heaven, “apart from us they should not be made perfect” (Hebrews 11:39–40). Thus they wait for the final act of the redemption of Christ, the Resurrection of their bodies. As they witness to us, they wait for us. Jesus promises in Matthew 24:14: “And this gospel of the kingdom will be proclaimed throughout the whole world as a testimony to all nations, and then the end will come.” The saints who have passed to glory wait for the full ingathering of the nations. Their faith drives us forward in mission. We seek to passionately pursue the same Savior they laid their lives down for. And we seek to proclaim his gospel to the nations who have not yet heard. Among the cloud of saints, the Pals family witness to the glory and honor and praise belonging to our sovereign King Jesus. They invite us to join them in their joy. And they wait for the mission to be finished. The Pals family leaves for us a legacy of faith — not remarkable simply because of strength or size, but founded and perfected a glorious Savior. The Pals family leaves for us a legacy of joy — joy in Christ, joy for Japan, and joy for the nations. 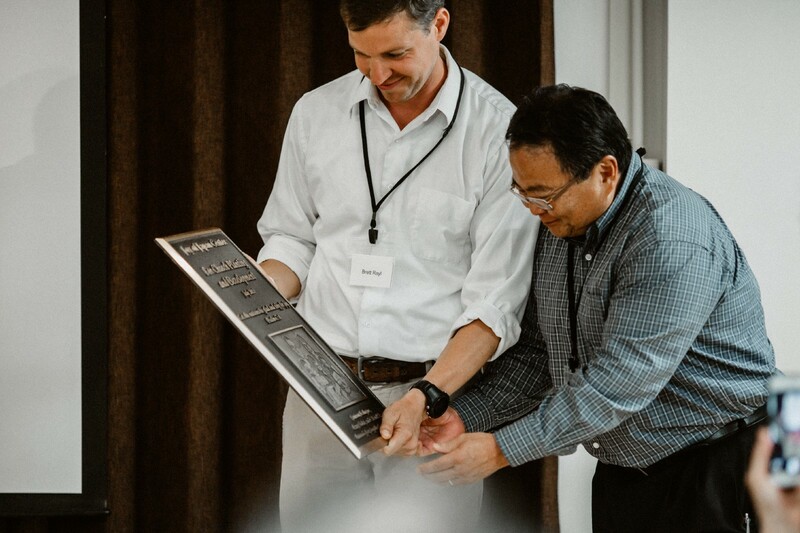 On Friday July 13th, 2018 Christ Bible Institute celebrated the ongoing witness of the Pals Family by launching the new Joy of Japan Center for Church Planting and Development. The Joy of Japan Center seeks to equip Christians in Japan for church planting and church revitalization. 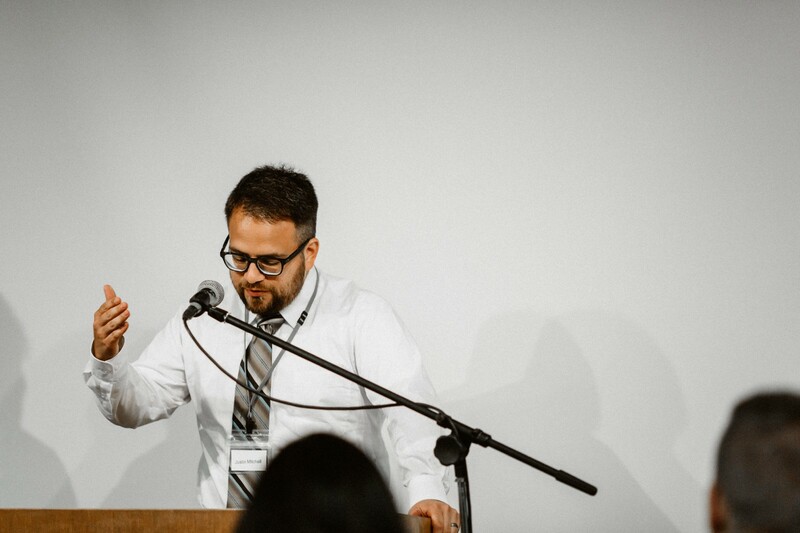 Weeks before his death, Jamison shared with me that his longterm vision in serving with CBI was to meet a Japanese seminary student who wanted to plant a church and partner to help begin this new work. 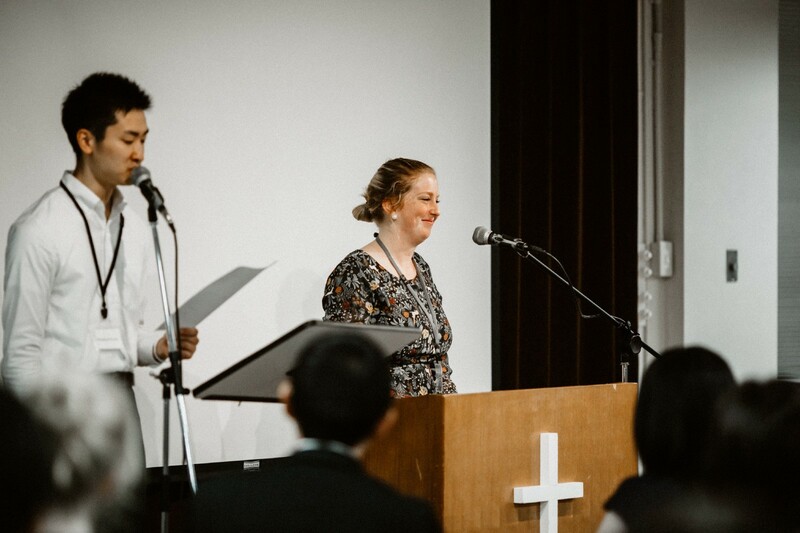 As we dream of many being equipped for the multiplication of the church in Japan, we could not think of a better foundation to encourage them in this challenging work than the testimony of the Pals family captured on their blog, Joy of Japan (Japanese version). CBI hosted a conference to launch the Joy of Japan Center featuring Dr. Paul Tripp, which had over 600 in attendance between Nagoya and Tokyo. On Friday night, we held a reception to celebrate the launch of the new Joy of Japan Center at CBI with pastors, church planters, and other Christian leaders from across Japan. At this event we had several special guests who testified to the fruit of the Pals ongoing witness. Justin Mitchell, a friend of Jamison’s who serves with the same agency in Japan, shared a message from their Japan Director, Ken Taylor. Jamison’s youngest sister, Andrea read several excerpts from his blog to a room full of tear-filled Japanese Christians. She also shared about the exciting work of the new Pals Family Foundation. 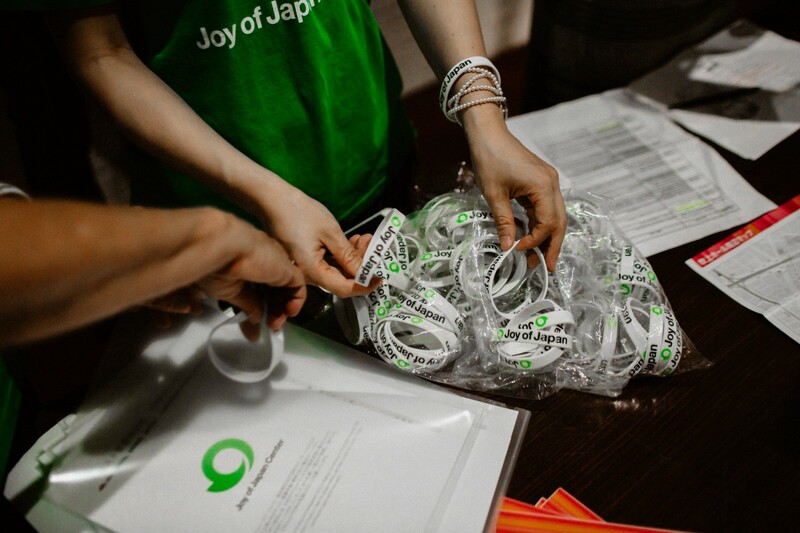 Their mission is “Sending people out, so that the least reached might have everlasting joy through Jesus Christ.” The Pals Family Foundation was very instrumental in the launch of the Joy of Japan Center, and is investing in a critical way to support missionaries serving in Japan and around the world. 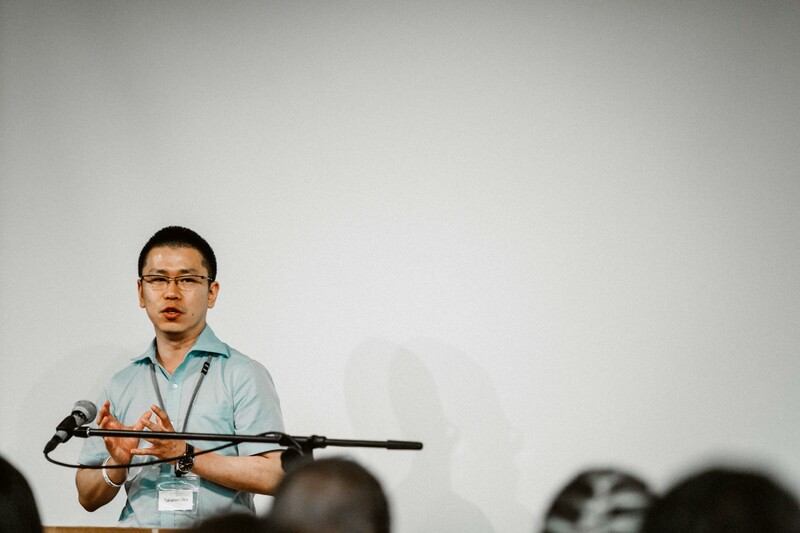 Taka Oba sensei, who serves as the Joy of Japan Center Program Advisor, Dean of Students for Christ Bible Seminary, and pastor of a local church near Nagoya, gave the final address to the pastors and leaders present. He lauded the importance of a Center like this to equip a new generation of Japanese church planters and revitalizers for the work of gospel ministry. On behalf of her family, Andrea presented a plaque to commemorate the Center with the same passage. Meanwhile, on the other side of the world, Rick and Kathy Pals courageously demonstrated the power of the gospel by testifying at the trial of the driver who killed their children and grandchildren asking for mercy and professing their forgiveness. The driver has rededicated his life to Christ and is continuing to grow. Where are Jamison, Kathryne, Ezra, Violet, and Calvin now? They are rejoicing in Christ. They are witnessing to the joy that is found in seeing him face-to-face. And their testimony propels those who remain to go the ends of the earth that all might know their joy.